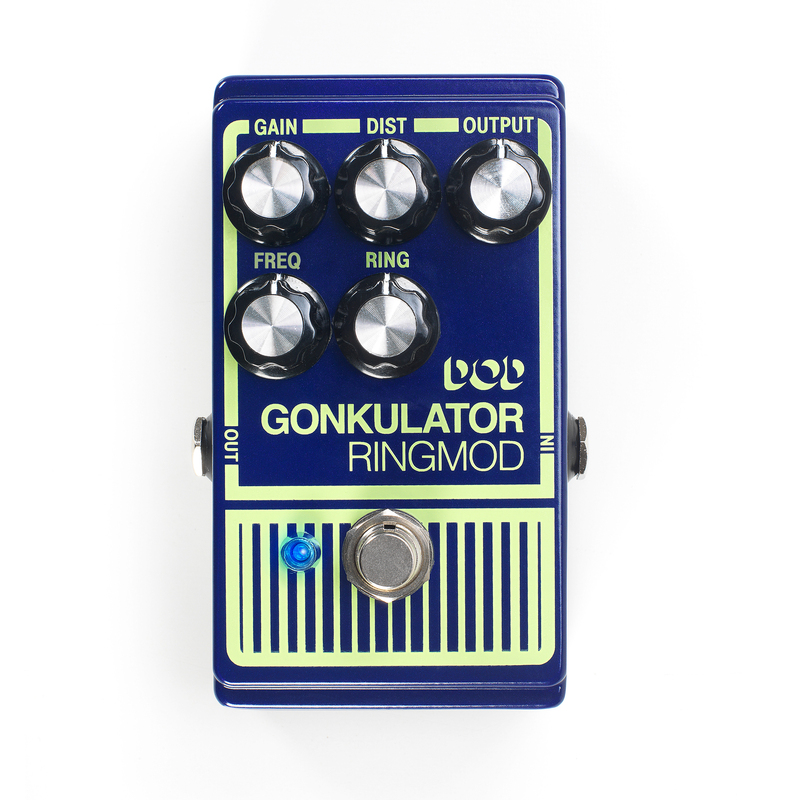 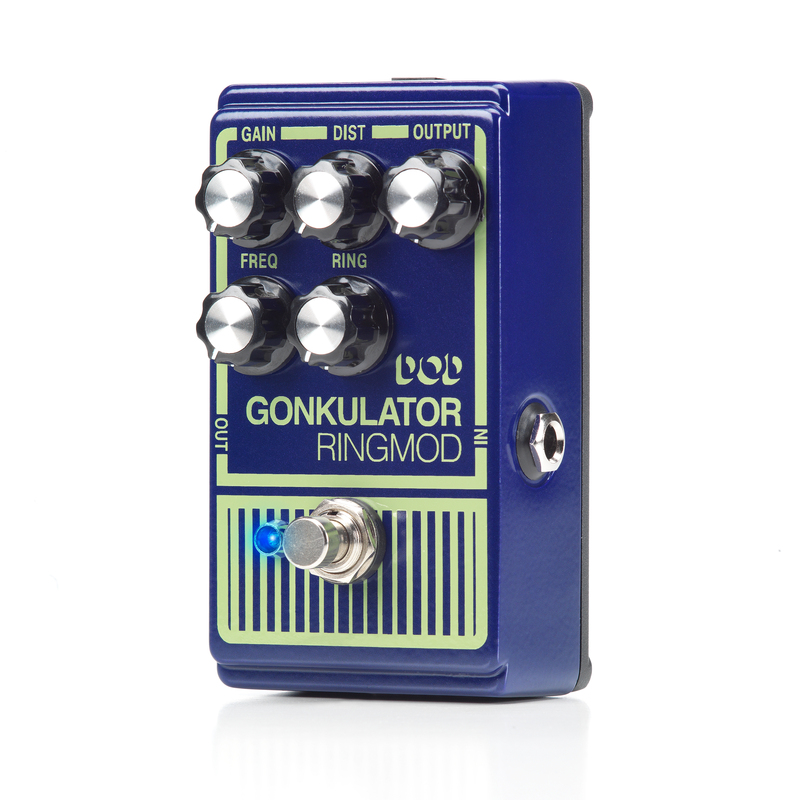 “Freq out!” The updated DOD Gonkulator Ring Modulator (2015) has all of the clangy, robotic sounds of the infamous ‘90’s era original, but with a far more flexible, adjustable, carrier signal control. 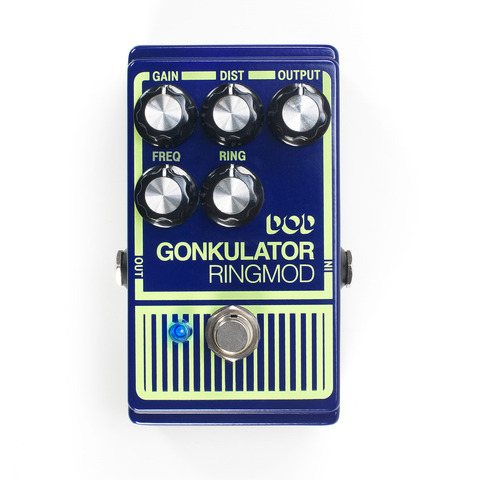 The adjustable carrier signal allows you to tune the ring modulation giving you the ability to go from slightly-skewed modulation to wildly, atonal chaos. 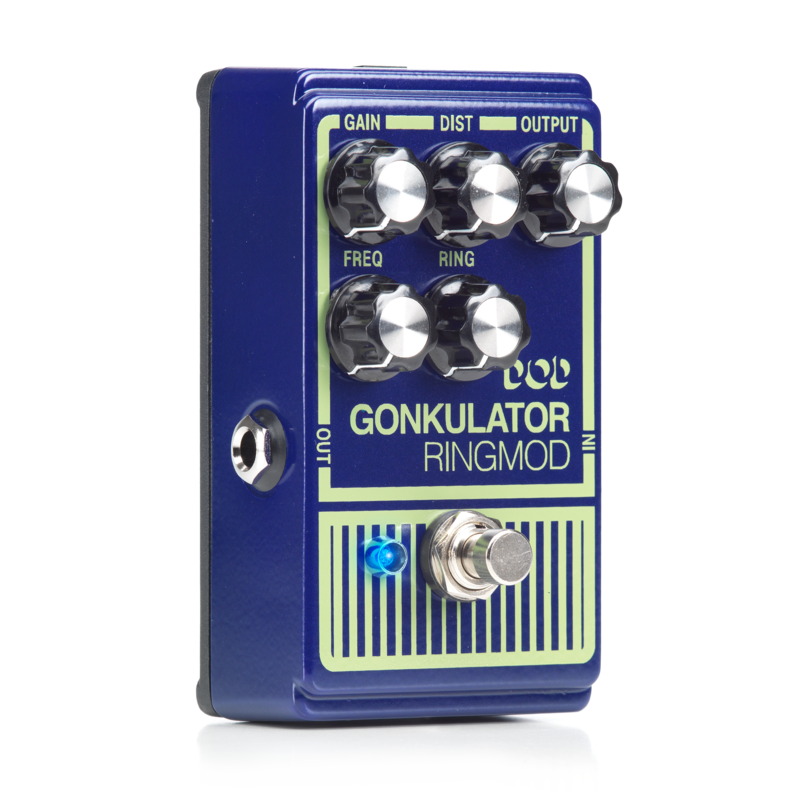 But wait there is more to the Gonkulator than just off-kilter pendulous tones, the Gonkulator is actually two effects in one! 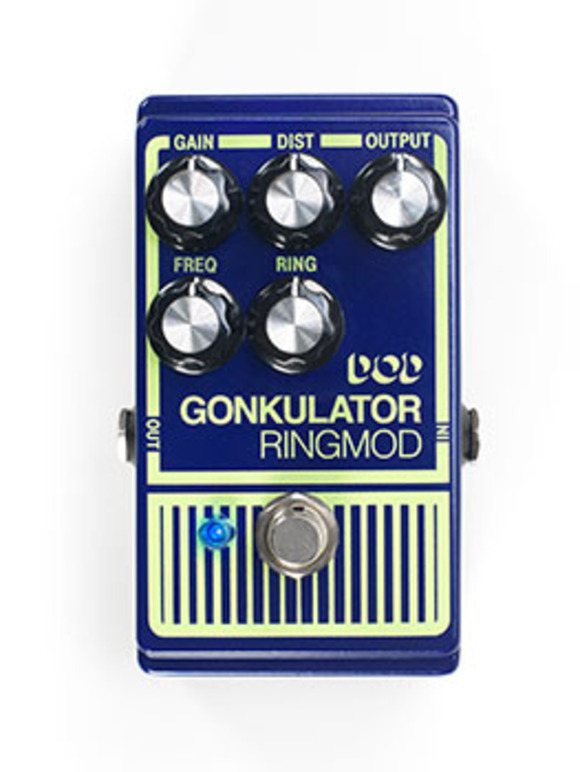 The Gonk has an aggressive distortion circuit to further mangle your guitar’s signal. 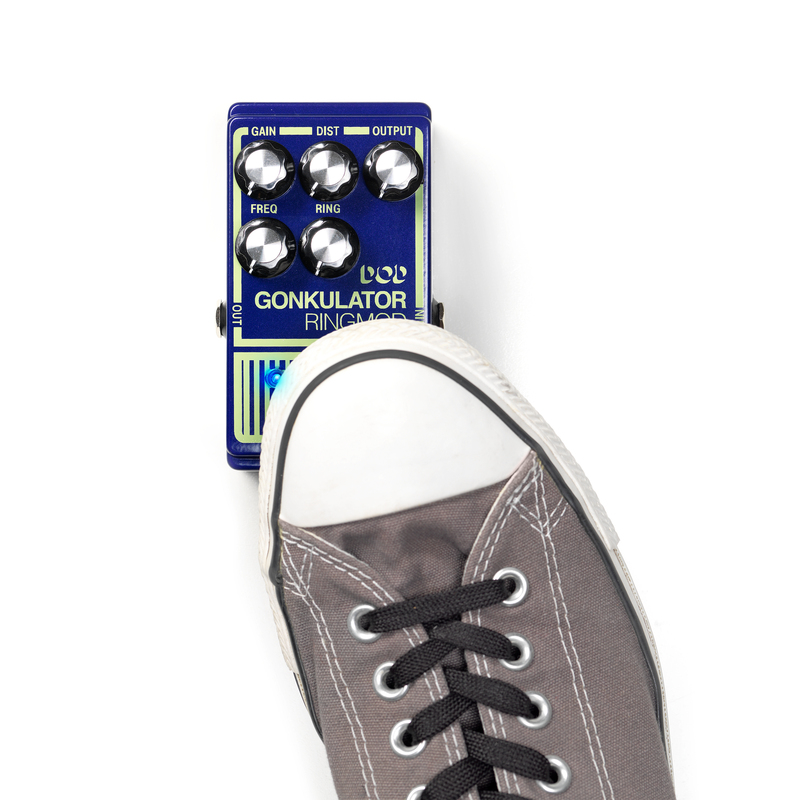 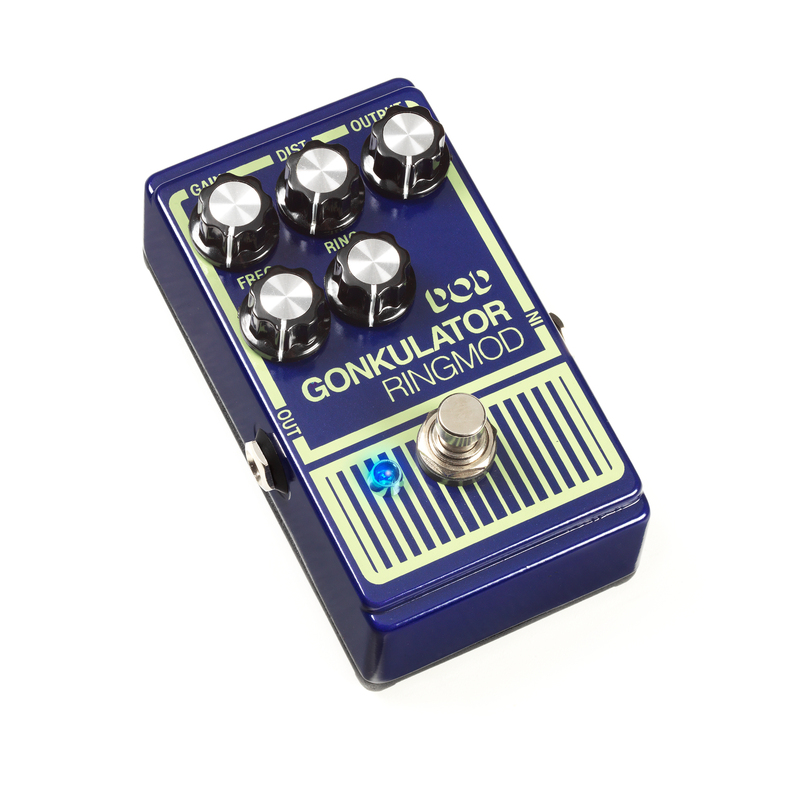 The DOD Gonkulator (2015) offers independent Gain, Distortion, Output, Frequency and Ring controls. 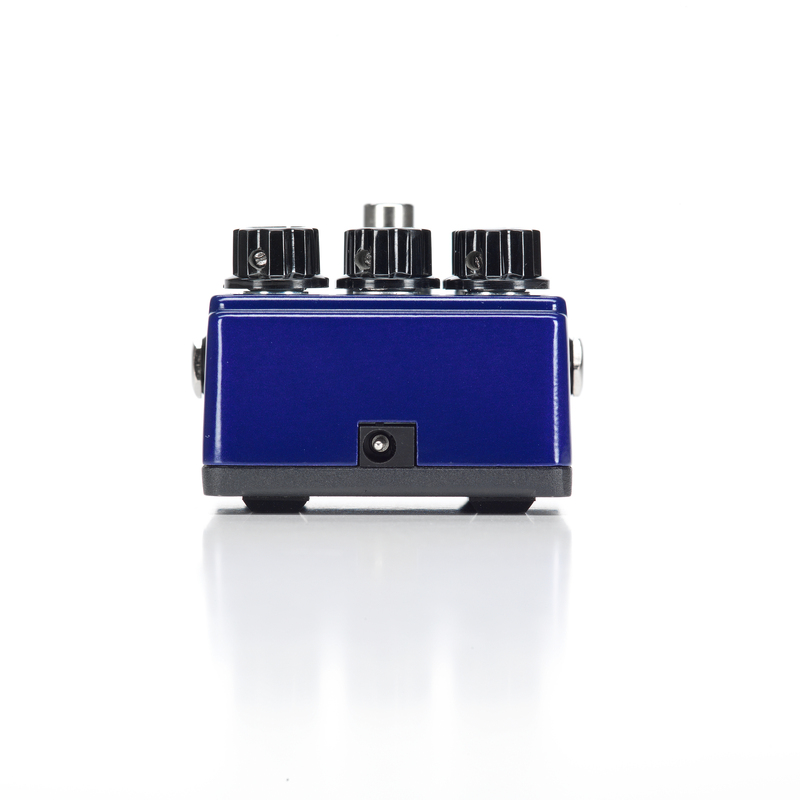 It features true bypass circuitry, an updated PSU jack and vintage-style aluminum chassis. 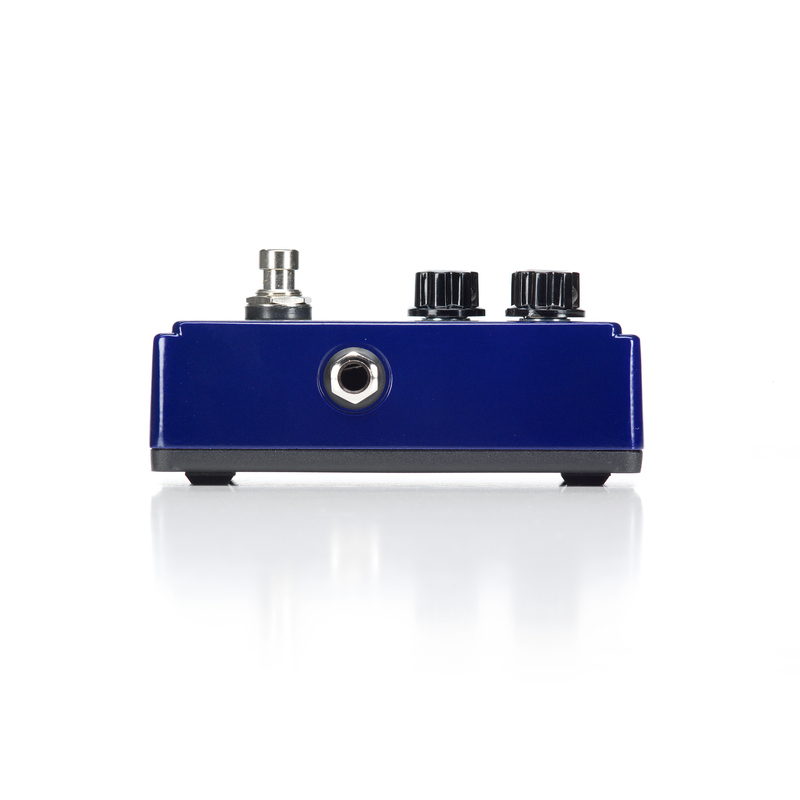 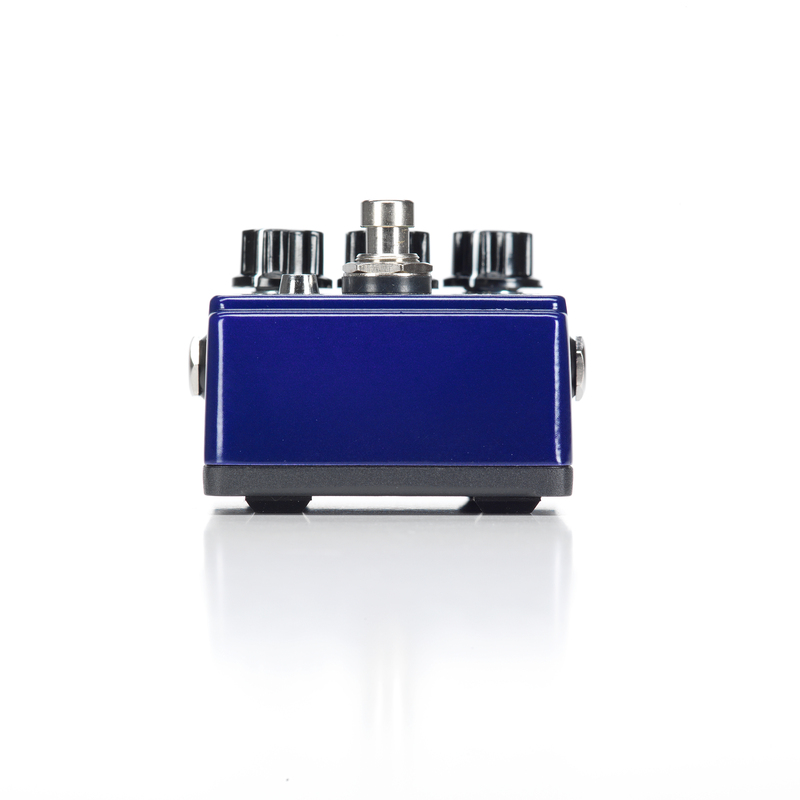 True bypass allows your tone to remain pristine even when the DOD Gonkulator is off. 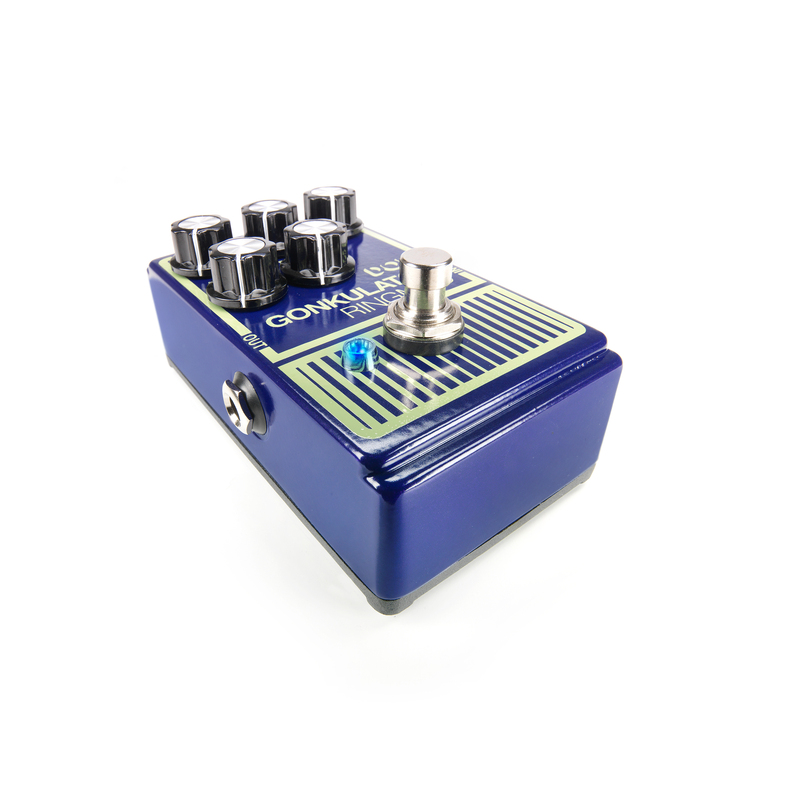 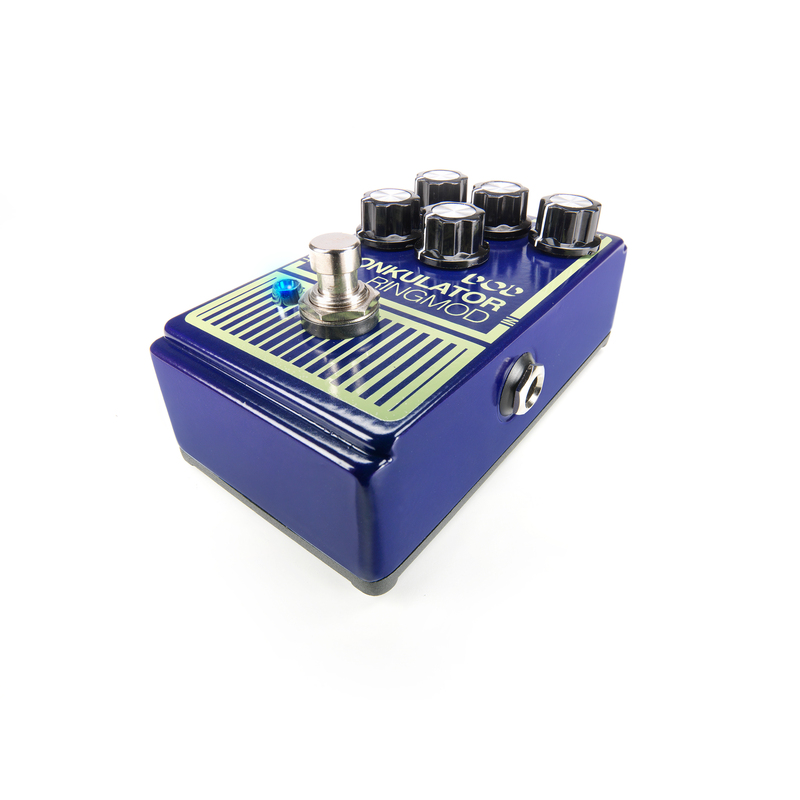 This is a big difference from the original, which would color your bypassed tone and the modern 9V DC power supply input makes the pedal more pedalboard friendly.